Every fall, since 1969, puppeteers have headed into the studio to tape Muppet segments for Sesame Street. It was always a joyful time for Jim, and now, forty-three years later, the set continues to ring with laughter as vegetables sing and Snuffleupagus’s do ballet. The original Sesame Street Muppet performers, Jim, Frank Oz, Caroll Spinney, Jerry Nelson, Fran Brill, and Richard Hunt trained new generations of puppeteers like Kevin Clash and Marty Robinson who in turn have trained yet another generation of their talented kin. Spinney and Brill continue to be regulars and Oz stops in from time to time. 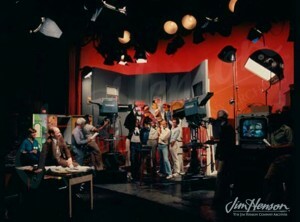 Clash and Robinson mentor younger puppeteers and all channel Jim’s humor and vision. While the show has evolved over the years, the camaraderie among the performers remains the same season after season. Visit the green room behind the scenes at Sesame Street in this video from Abby Cadabby performer Leslie Carrara-Rudolph and her friend Lolly. Looks like fun! On set at Sesame Street, late 1970s. 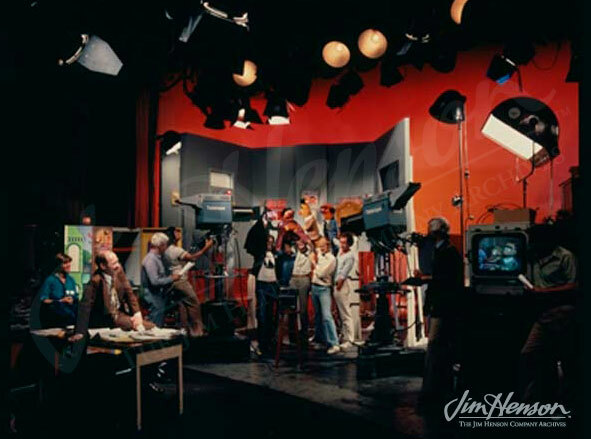 Performers are (l. to r.) Jerry Nelson, Caroly Wilcox, Jim Henson, Frank Oz and Richard Hunt. 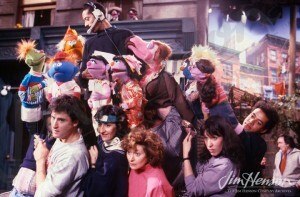 Sesame Street performers, 1989, (l. to r.) Jerry Nelson (hidden),David Rudman, Camille Bonora, Fran Brill, Pam Arciero and Noel MacNeal. This entry was posted in 10-October '82, 1982, Sesame Street and tagged Caroll Spinney, Fran Brill, Frank Oz, Jerry Nelson, Kevin Clash, Marty Robinson, Richard Hunt, Sesame Street. Bookmark the permalink.